Why Choose Chateau Chic Chalk Furniture Paint? 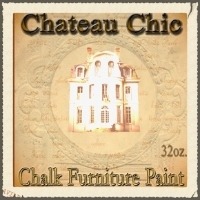 Why choose Chateau Chic as your chalk furniture paint product supplier? We offer a full line of the best quality chalk furniture paint, chalk furniture paint brushes and the perfect sanding blocks for furniture distressing. We have superior products that you can be proud to promote and sell. Our paint will let you bring your customers into the chalk furniture paint world through classes you host which then drives more paint and furniture sales as they experiment with all the paint and wax techniques . We are always updating with the latest colors, newest trends and innovative ideas. Follow our blog for the latest tips, tricks and trade secrets to applying Chalk Furniture Paint to your home's décor and pass that knowledge on to your customers. 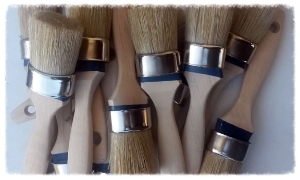 Become a Chalk Furniture Paint Retailer! As a manufacturer and supplier of Chalk Furniture Paint, Chateau Chic is always looking for quality retailers within the US. If you are interested in ordering Chalk Furniture Paint and Chalk Furniture Paint supplies wholesale, or would like to become a distributor of Chateau Chic's premium paints, please contact us at (805) 270-4090 or by using the form on the right. Become a dealer, add our full line of Chalk Furniture Paint to your store today! Our special "Retailers Only" wholesale prices are lower than our closest competition; making your partnership with Chateau Chic one of the most cost effective investments in the painting industry. Contact us today to learn more. Request Information or learn how to become a Retailer.